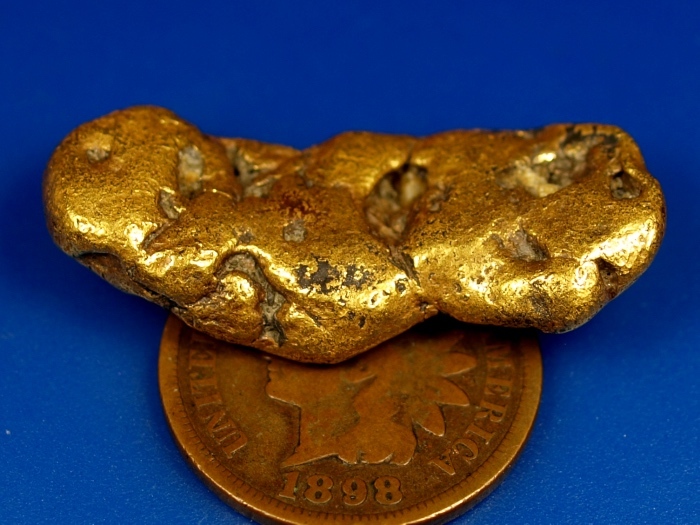 This beautiful raw gold nugget comes from the goldfields of Alaska. This big ol' slug of gold was mined from an ancient river channel this past summer at a remote mine in the Fairbanks area. Big nuggets like this are less and less common in Alaska as the better ground is being worked and reworked. 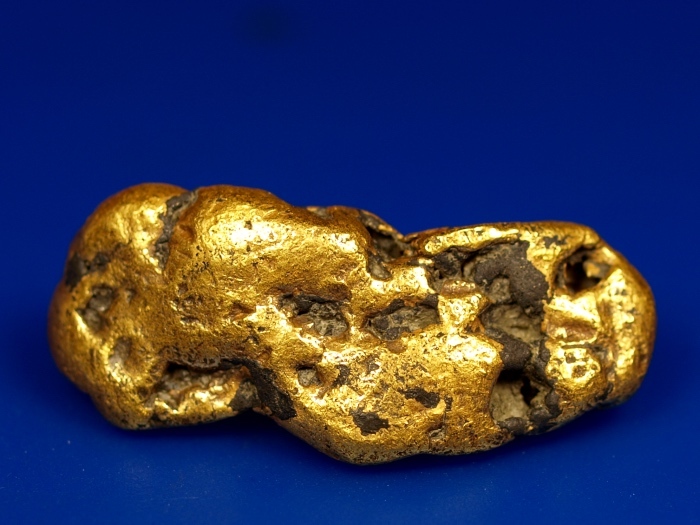 Most of these big nuggets found during the Gold Rush were melted down, making pieces like this one a rare addition to any gold collection. 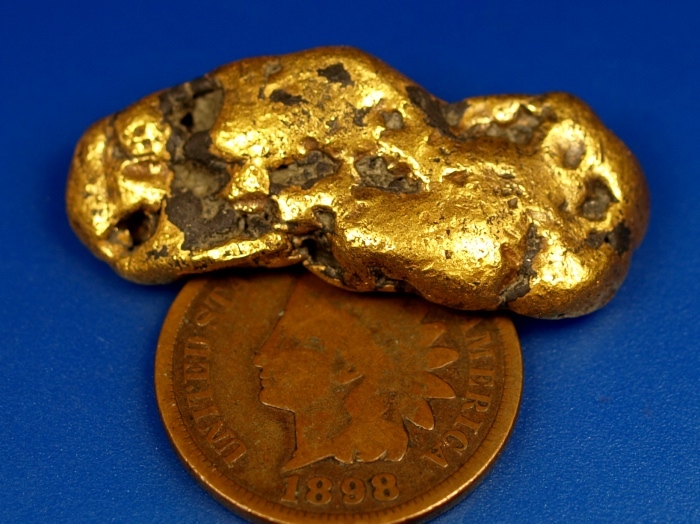 It weighs 16.60 grams (over 1/2 troy ounce). The Indian Head Penny is for size reference only. I will ship this for free to buyers in the USA.